Click on image below for a complete project write-up. 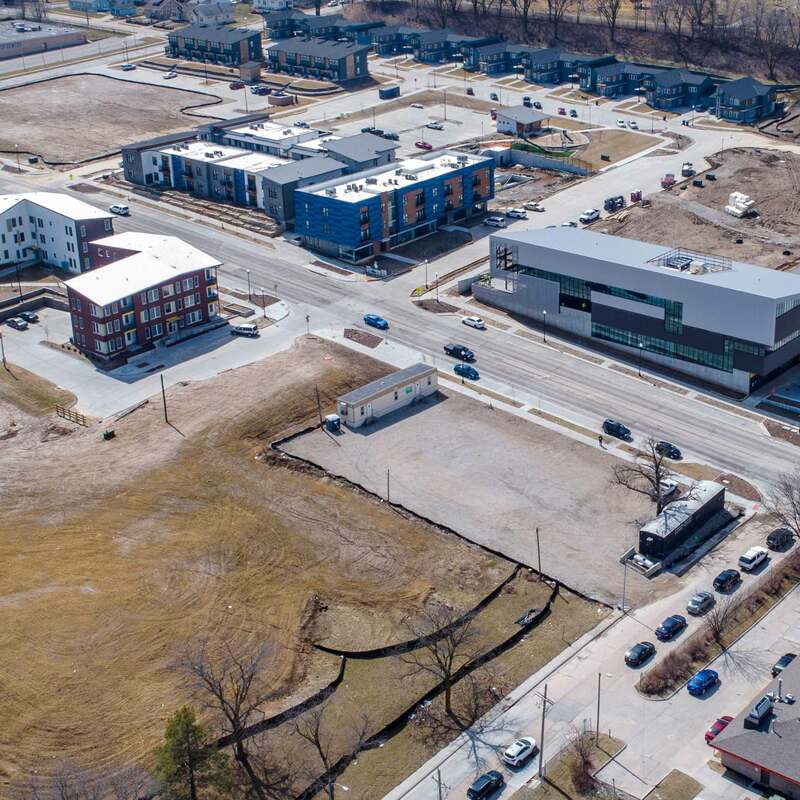 Ehrhart Griffin & Associates (EGA) was retained to perform the civil engineering services for the Highlander project located in North Omaha along 30th Street between Parker Street and Lake Street. The project, being 33 Acres, took a multiple phase approach to development. The project was spearheaded by the local non-profit Seventy5North who ignited the drive to revitalize neighborhoods through mixed use developments. EGA lead on the platting, design and coordination with the three architects tasked with designing the various portions of the project. Two of the architects were non-local firms, one based in Chicago and the other in Kansas City. Each task demanded care to detail, attention to coordination, and drive to successfully complete each task. Creighton University has been a valued, longtime client of Ehrhart Griffin & Associates for over 28 years. 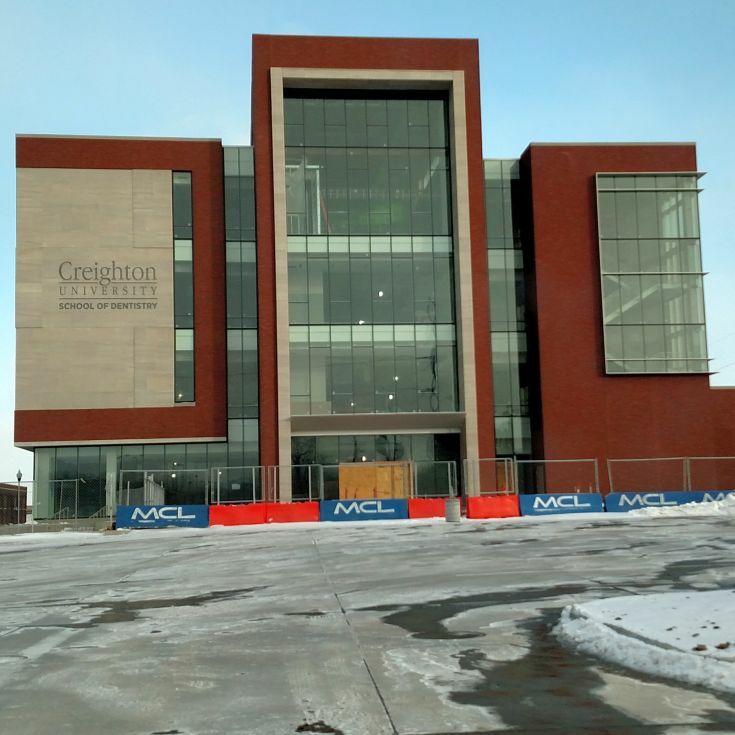 Our firm has been Creighton University’s prime land surveyor and civil engineer for a majority of projects on campus since 1988. Our past experience on previous design and construction projects include a full range of land surveying, including topography, boundary, platting, easement descriptions and construction staking. 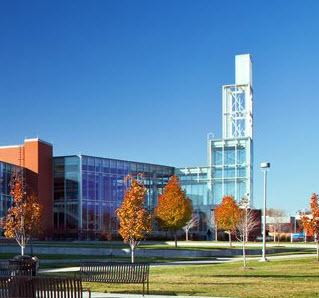 Our civil services have included full design of site improvements, street and pedestrian corridors, post construction stormwater management and treatment systems, stormwater detention cells, combined sewer separation and construction observations for both campus projects and related public improvement projects requiring City coordination. 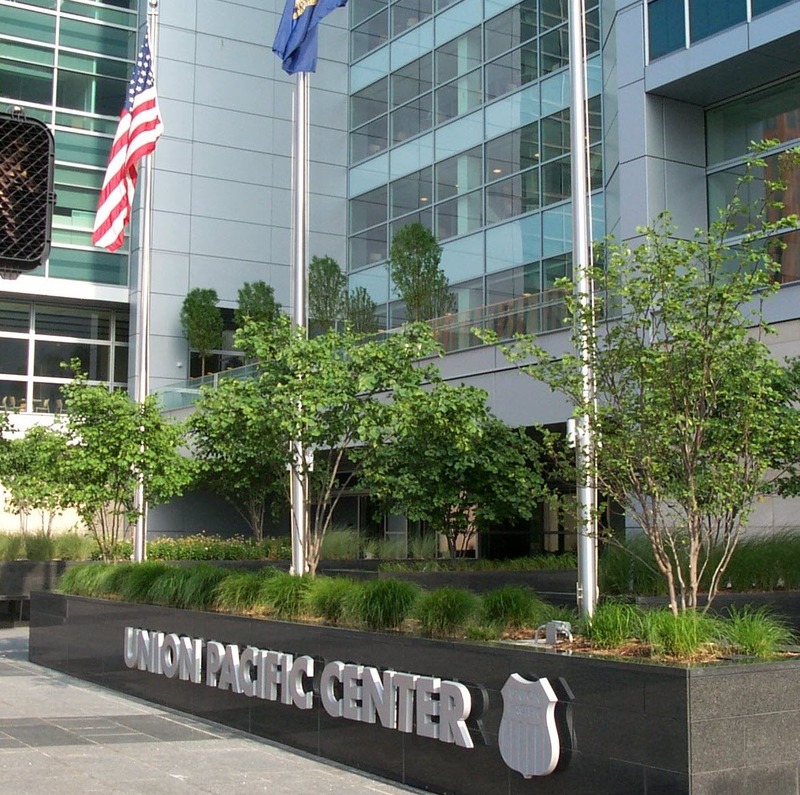 Ehrhart Griffin & Associates was selected to perform all civil engineering for the site development of the Union Pacific headquarters, referred to as the Union Pacific Center. The Center, opened in 2004, now occupies an entire city block, bounded by 14th, 15th, Dodge and Douglas Streets. 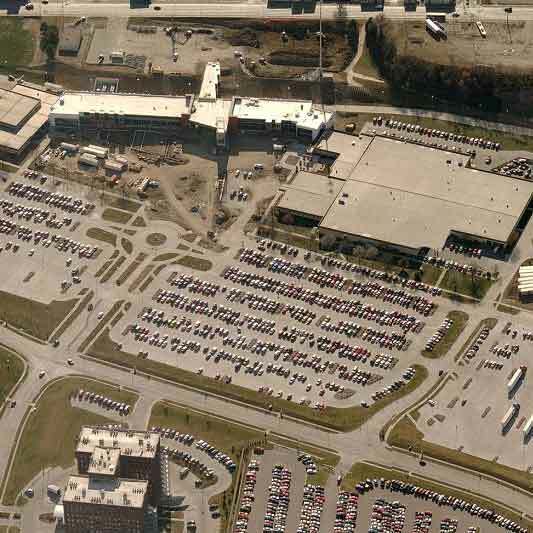 In addition the complexities associated with the development of a major project in the downtown area, EGA was also selected to perform civil engineering services for the corresponding Omaha Park 8 parking garage that was constructed to meet the demands of the work force generated by the Union Pacific. The garage, built at 13th and Dodge Streets, was connected to the Center by means of Omaha’s first publicly built underground pedestrian tunnel, which entered both the garage and the Center at the lower floor elevation. 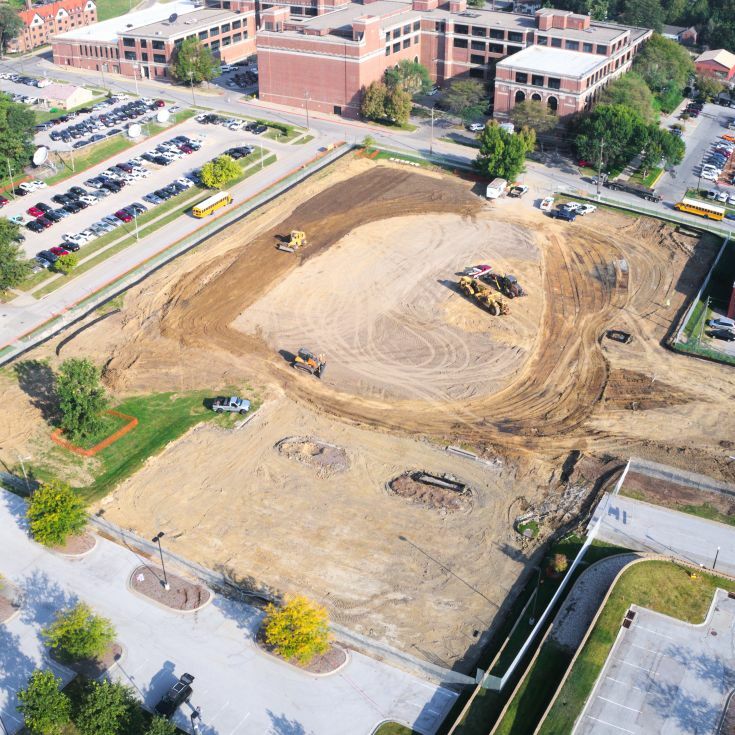 Ehrhart Griffin & Associates (EGA) was retained to perform surveying and civil engineering tasks for a 32 acre campus lying west of 42nd Street between “T” Street and “Y” Streets in South Omaha. 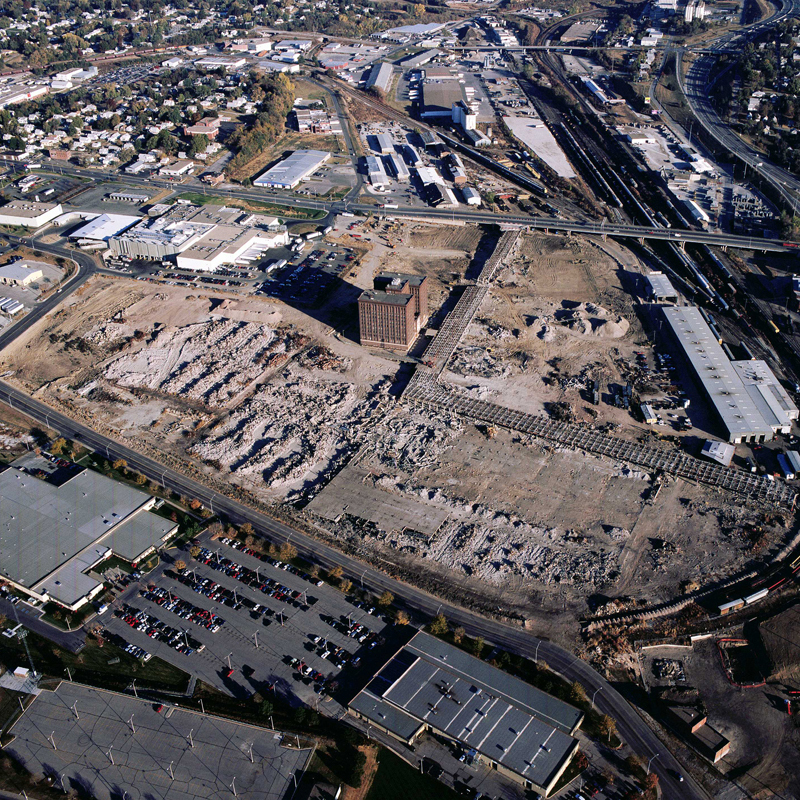 The property contained existing buildings, former building pad sites with pockets of buried rubble and debris, poorly compacted earthen fill over poor soils, a major drainage way for the area which drained into a wetlands, and a major 2-lane public street with high traffic volume and a history of high speeds. We worked very closely with the landscape architect to not only protect the wetlands during construction, but design around this area to provide an outdoor classroom effect for educational opportunities. Working closely with Jackson & Jackson Architects, Ehrhart Griffin & Associates has performed surveying and civil engineering for the new OPS Elementary School at 32nd & Burt Street. 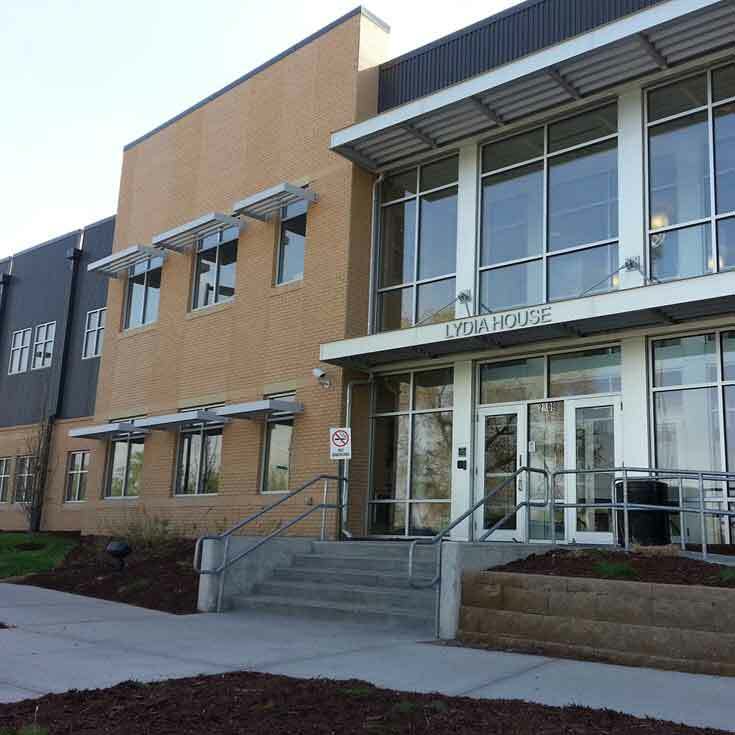 EGA performed civil engineering for both the public improvements and some private improvements for the new OPS school adjacent to the TAC building. Our scope included surveying, construction drawings, Post Construction Stormwater Management Plan and certification, erosion control plan and permit, and construction observation for both public and private civil improvements. Additional services included creating a plan for trenching and boring a Heat Pipe Loop from the new school to the TAC Building on the other side of Burt Street. The project site was an urban redevelopment project encompassing a full City block. The existing site was covered with a mixture of buildings and hard surfacing. Therefore, the project required a detailed demolition plan of the site. Three separate buildings were simultaneously constructed and featured underground parking a full story (+/- 15’ deep) beneath the Leavenworth Street curb line, and a courtyard, private storm sewers occupying public right-of-way (ROW) that required lease agreements. The complex offers varying unit sizes and configurations. The project is located on major bus routes and provides easy access to downtown urban attractions. 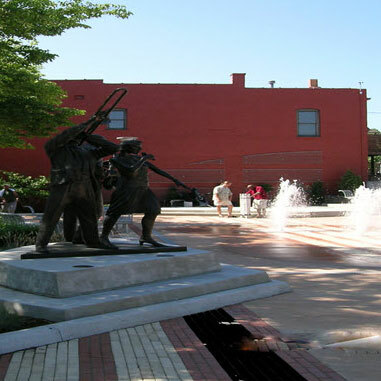 Ehrhart Griffin & Associates was retained by Urban Village (project developer). Fort Omaha Campus 2013 Implementation Plan. Ehrhart Griffin & Associates (EGA) has been an integral part of the last two master planning teams for Metropolitan Community College (MCC) campuses. Through our review of existing physical data and addressing existing utility and storm drainage infrastructure layouts and capacities, vehicular traffic patterns, parking issues and pedestrian traffic issues, a Master Plan was created that determined a plan of action for each campus that addresses both student and faculty needs as well as improves overall campus ambience and experience. 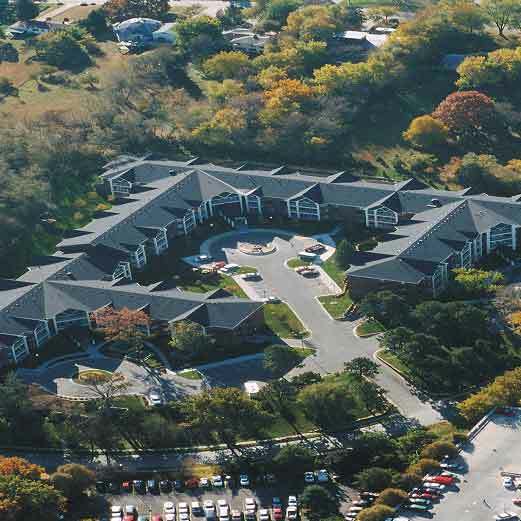 Ehrhart Griffin & Associates has performed civil engineering services for a wide range of independent senior living facilities across an eight-state region for the Essex Corporation development group. Project sizes have varied, ranging from a single story, 28-unit complex to multi-storied 84-unit complexes. Projects generally include underground parking, surface parking and a main entrance focal point with enhancements such as fountains and islands. All landscape and grades around the building perimeter are “senior” friendly and offer the senior residents ease in activities such as gardening and fitness efforts. Ehrhart Griffin & Associates was part of the team that worked to create a master plan for the Open Door Mission Campus and see it through for the first three phases of design and construction. The phases that have been completed to date include the Lydia House, the Permanent Supportive Housing and the Men’s’ Center. The improvements include master planning the site for layout, grading, storm sewers, drainage, detention and water quality where the design for the completed phases included sidewalks, parking lots, sewers, drainage, detention, water quality, utilities, street pavement, coordination with utility companies and the relocation of their facilities. Ehrhart Griffin & Associates (EGA) has long been a leader in the Metropolitan area in regards to master planning in urban areas. Our staff is intimately familiar with the nuances and requirements that infill projects require, and through our years of experience generated by numerous infill projects ranging from 4 unit apartments to 60 acre industrial sites to University campuses, we have established proven paths of communication and processes of investigation with affected shareholders. Through our commitment and diligence, we have developed a reputation for thoroughness and detail, all of which are essential to successful planning. 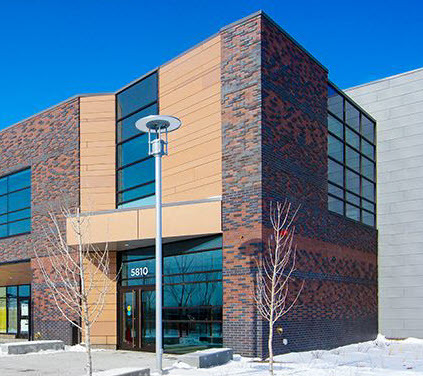 Ehrhart Griffin & Associates (EGA) was retained to perform all land surveying and civil engineering tasks for a brand new 500,000 square foot 50 acre mixed-use commercial development located in Omaha, Nebraska. 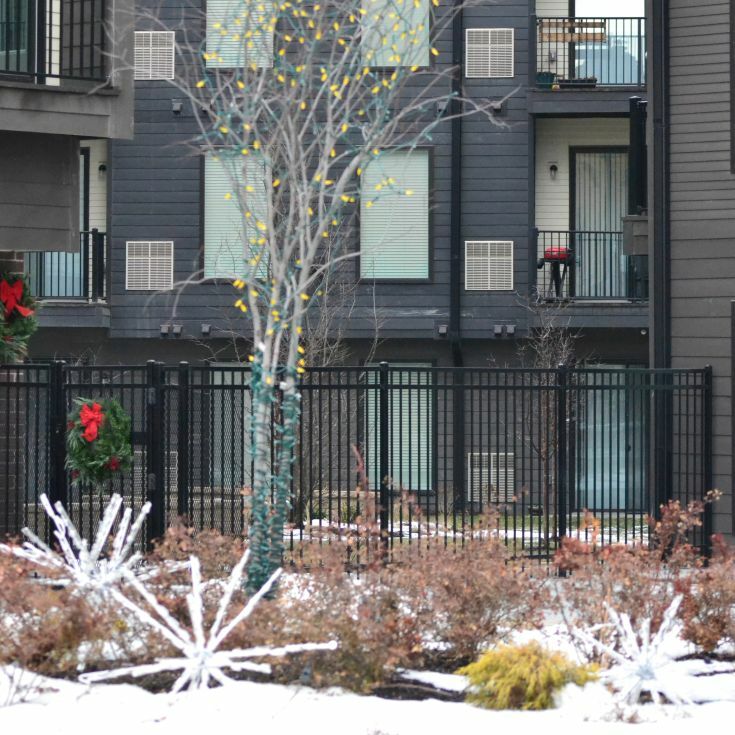 This project, located at the north east corner of “L” Street and 120th Street was designed and constructed on a portion of the former undeveloped Avaya (Connectivity) site. Total construction cost of onsite improvements, including buildings, was approximately 32 million dollars. 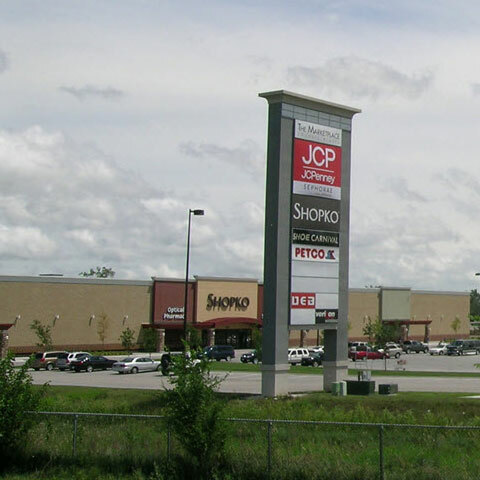 Ehrhart Griffin & Associates (EGA) was retained to perform all land surveying and civil engineering tasks for a brand new 50 acre mixed-use commercial development located in Council Bluffs, Iowa. Ehrhart Griffin & Associates was contracted to perform surveying and civil engineering services for the Flood Damage Remediation and Campground Upgrade for the Wilson Island State Recreation Area. 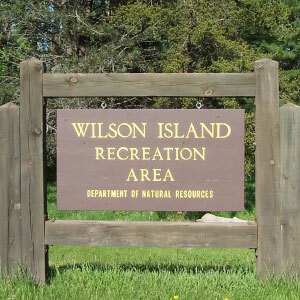 The Wilson Island State Recreation Area provides a great destination for hikers and campers to experience nature in western Iowa. EGA’s services included the topographic survey of the project site, the engineering design services, application for permits through various agencies such as the US Army Corps of Engineers and the Iowa Department of Natural Resources, and the construction staking. 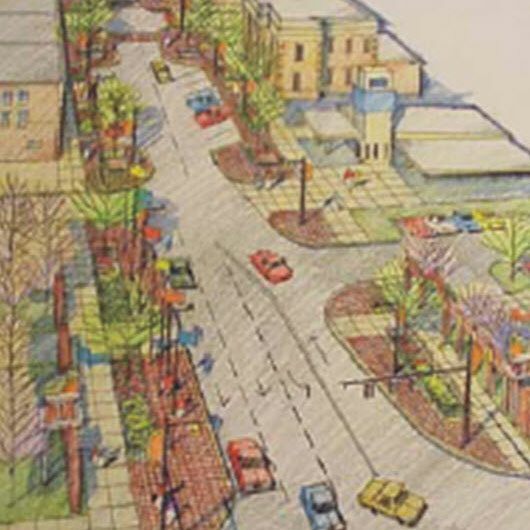 Ehrhart Griffin & Associates, together with the landscape architecture firm of EDAW, was selected by the City of Omaha to perform final design for the multiple phases of the streetscape/revitalization of the North 24th Street business corridor in Omaha, Nebraska. Applying the master plan originally prepared by EDAW and accepted by the City of Omaha, the improvements include new curb and gutter, asphalt street overlay, curb bump outs at the intersection of 24th and Lake Streets, brick pavers, sidewalk furniture, landscaping, decorative street lighting with banners, new traffic signalization and new sidewalk construction. Ehrhart Griffin & Associates, together with the landscape architecture firm of RDG Planning & Design, was selected by the City of Omaha to perform final design for the multiple phases of the streetscape/revitalization of the South 24th Street business corridor in Omaha, Nebraska. Using the master plan originally prepared by RDG and accepted by the City of Omaha, the improvements included new curb and gutter, asphalt street overlay, curb bump outs, designalization of the “N” Street intersection, sculptors, pedestals, colored pavers and tiles, decorative street lighting, an elaborate plaza area and new sidewalk construction. The culmination of these materials created an art form with a life of it’s own used to enrich the area as well as celebrate the cultural diversity. 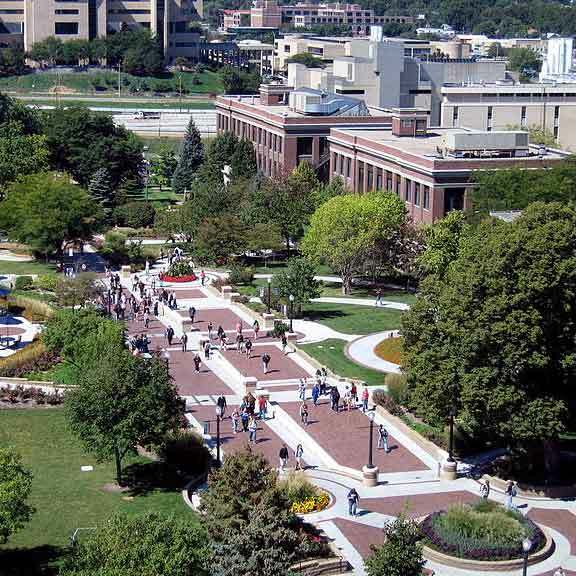 Creighton University has been a valued, long time client of Ehrhart Griffin & Associates for over 28 years. Our firm has acted as the prime land surveyor and civil engineer for a majority of projects on campus since 1988. Our past experience on previous design and construction projects include a full range of land surveying, Our civil services have included full design of site improvements, street and pedestrian corridors, post construction stormwater management and treatment systems, stormwater detention cells, combined sewer separation and construction observations for both campus projects and related public improvement projects requiring City coordination. 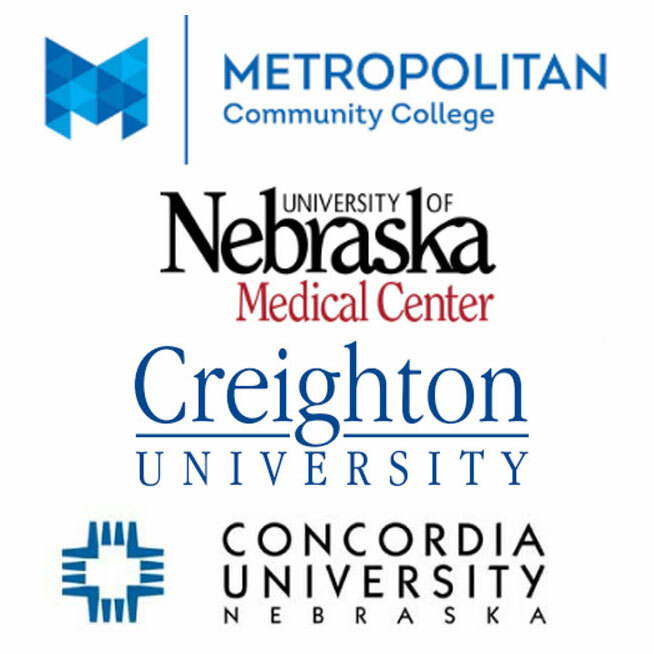 This project involves the creation of a Master Plan for three of the Metropolitan Community College campuses in the Omaha area through the review of existing physical data and addressing existing utility and storm drainage infrastructure layouts and capacities, vehicular traffic patterns and parking issues and pedestrian traffic issues. The Master Plans developed under this effort shall be used to help determine a plan of action for each campus that addresses both student and faculty needs as well as improves the overall campus ambiance and experience. 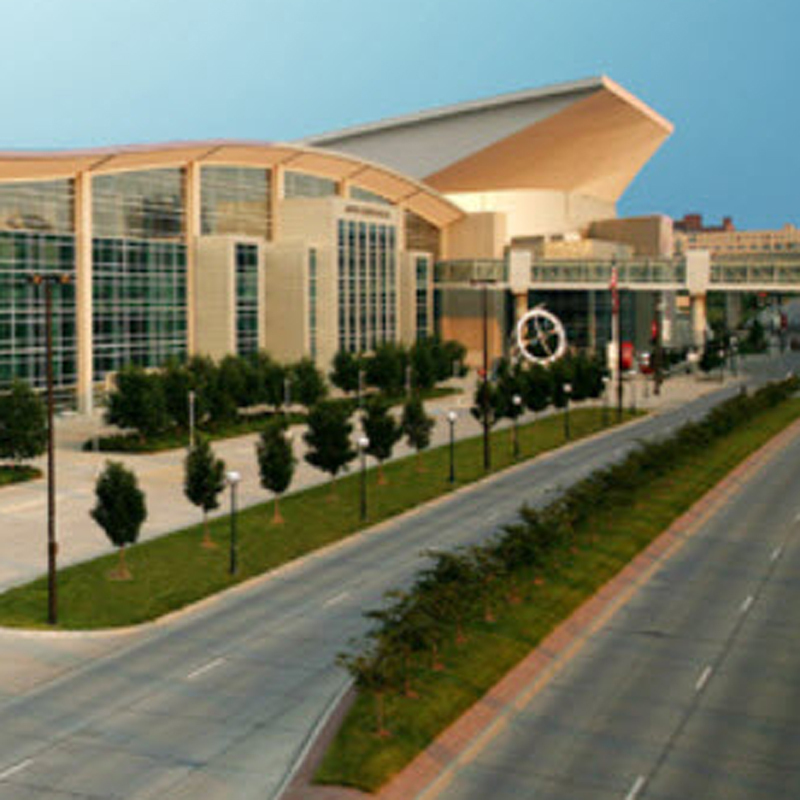 Ehrhart Griffin & Associates was a member of the design team selected by the City of Omaha to prepare construction documents for the infrastructure of the City's $288 million dollar Convention Center/Arena. The Convention Center/Arena occupies a 110-acre site that once was home to the Union Pacific Railroad yard. The scope of work of the design team included the preparation of construction documents for the demolition of existing railroad facilities and the preparation of the construction documents of all proposed infrastructure and parking lots necessary for the proposed Convention Center/Arena. 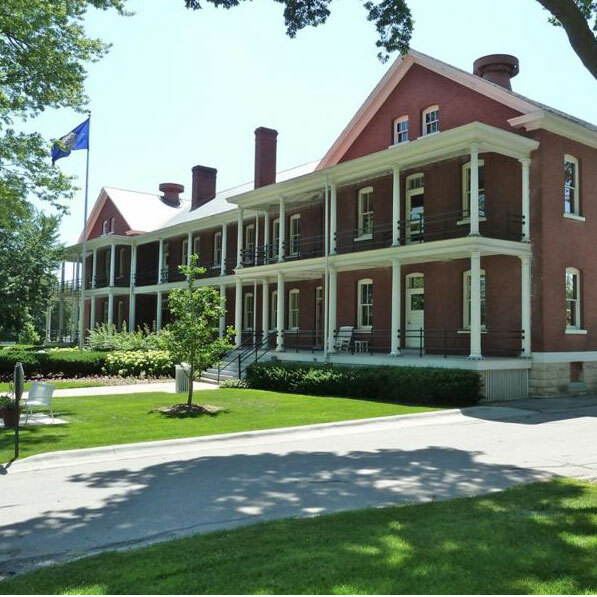 Ehrhart Griffin & Associates was retained by the Omaha Planning Department to prepare the construction documents for the complete demolition of the approximately 54-acre remnant of the Omaha Stockyards Campus. The exclusion and protection of the historically significant Livestock Exchange Building was included within the construction documents. During the course of our preliminary research , Ehrhart Griffin & Associates located an extensive cache of construction and record drawings, all meticulously recorded and itemized. 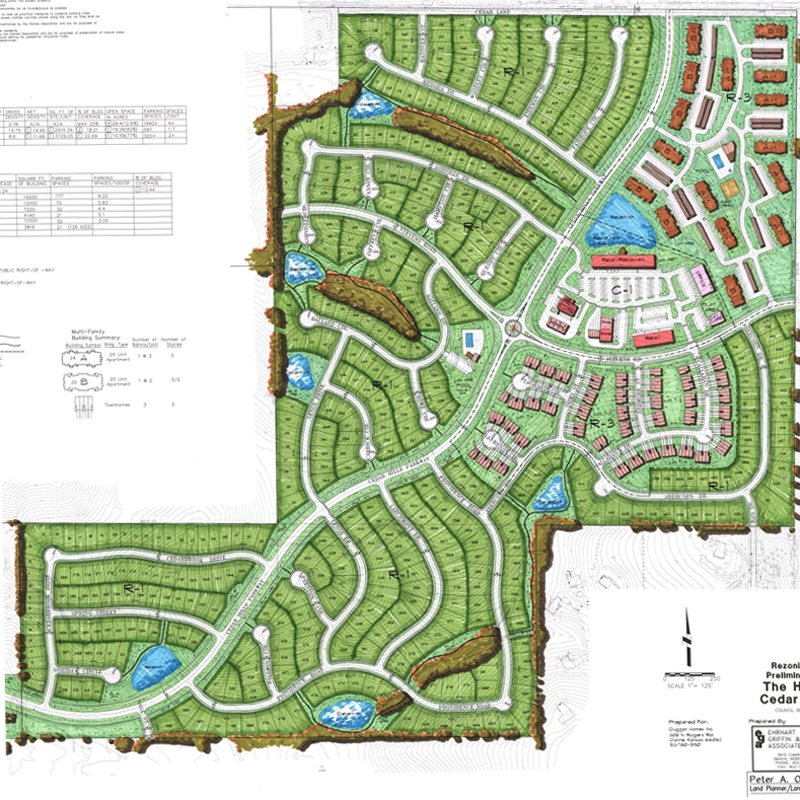 The Hills of Cedar Creek planned community subdivision is the first of it’s kind to be introduced within the City of Council Bluffs, Iowa. This residential and community commercial development encompasses approximately 230-acres in area and is planned to be completed in three phases. Ehrhart Griffin & Associates provided and continues to provide planning coordination efforts as well as design and construction management services for platting, overlot grading and infrastructure. All necessary permits for NPDES and outfall and interior sanitary sewers were executed through the Iowa Department of Natural Resources (IDNR). 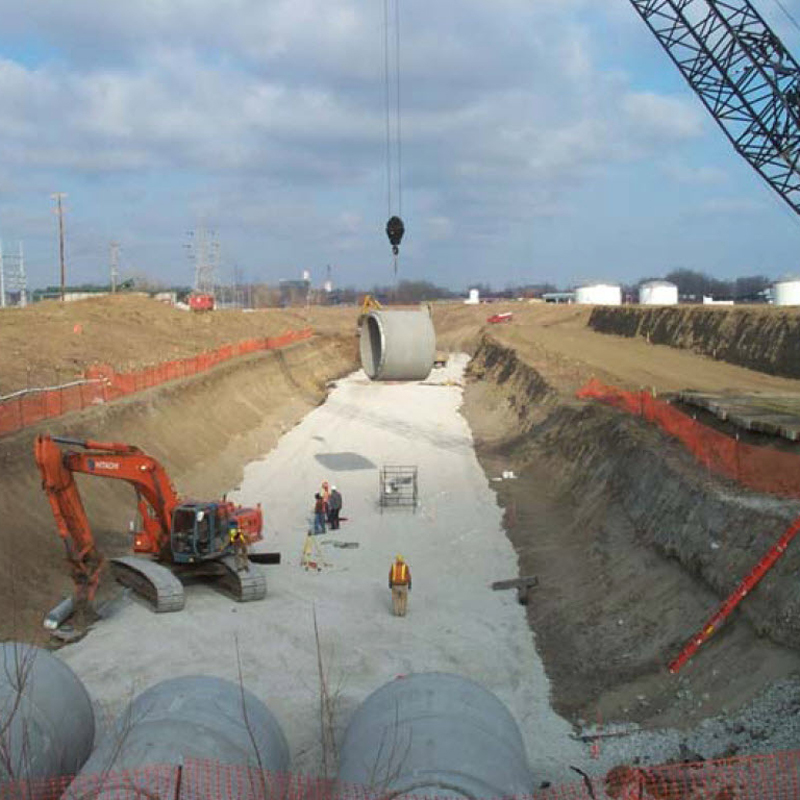 Ehrhart Griffin and Associates was retained by the City of Omaha Planning Department to provide site design, culvert design and analysis, construction staking and construction management services for the extension of the triple 108-inch diameter culverts beneath Abbott Drive in Omaha, Nebraska. The ditch and culverts discharge overflow from the combined sewer system of the Grace Street Storm Drain and North Interceptor Sewer to the Missouri River. EGA served as the lead consultant of a design team that involved geotechnical, structural, electrical and environmental engineering. Ehrhart Griffin and Associates has enjoyed providing design services for a wide variety of projects on several campuses in the heartland area. Over the past years, our staff members have participated in over 40 campus projects, with services ranging from master campus planning, topographic and boundary surveying, platting, traffic engineering, various civil engineering design services, construction staking and construction administration services.